The interior design project for the headquarters of La Posta Foundation develops from two assumptions that serve as a starting point and argue the choices in the design of the container. First, the versatility of the space and its ability to adapt to the artistic content has been the guiding principle in the design of the project. The moving surfaces constructed from a hung system and DM-lined metal racks provide maximum versatility of space that ultimately enhances the visibility of the works as they accommodate the wishes of each scheduled artist. Moreover, it is to exploit the characteristics of the local project using them as virtues. 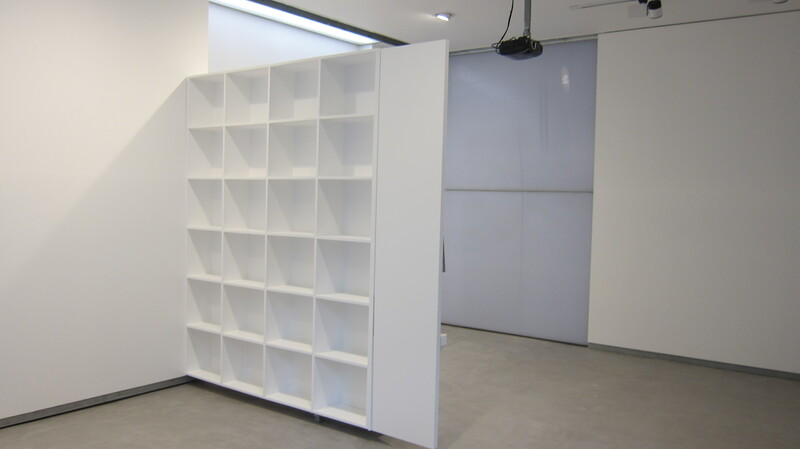 This translates to the use of the recesses of the vertical faces to locate the library and storage spaces and this way homogenize the volume of the space when the parts are closed. These elements can be camouflaged behind the sliding galvanized steel racks used as a surface for the display of works of art, both hanging units, supported or planned. 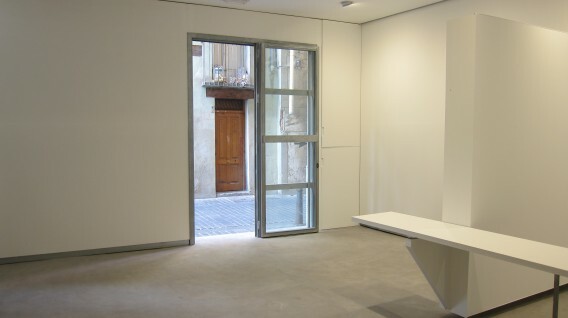 Thanks to the movement of its elements, sliders and dropdown, the headquarters of La Posta Foundation is prepared to host exhibitions, but also workshops, conferences and related research and dissemination of contemporary art activities. In the back, behind a door polycarbonate various storage spaces and services ensure the smooth functioning and an order based on their characteristics. The multimedia equipment installed in room allows the use of projections and audio optimally placed in space, depending on their geometry and dimensions. 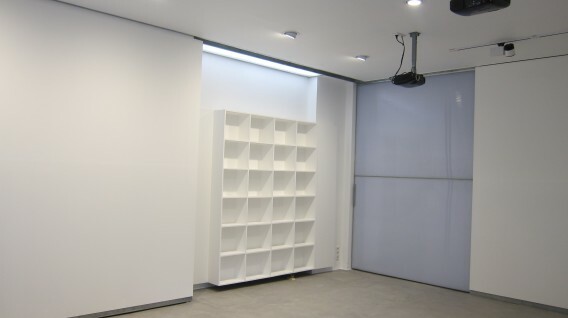 The lighting also has the ability to substantially change the space from focusing attention on a single point to visible light or create a perimeter uniform illumination in the room. The position and type of luminaires are designed to absorb various configurations. With the slide of one of the racks is allowed to bring in natural light or darken the room completely. While transparency of the access door secures the external visibility. 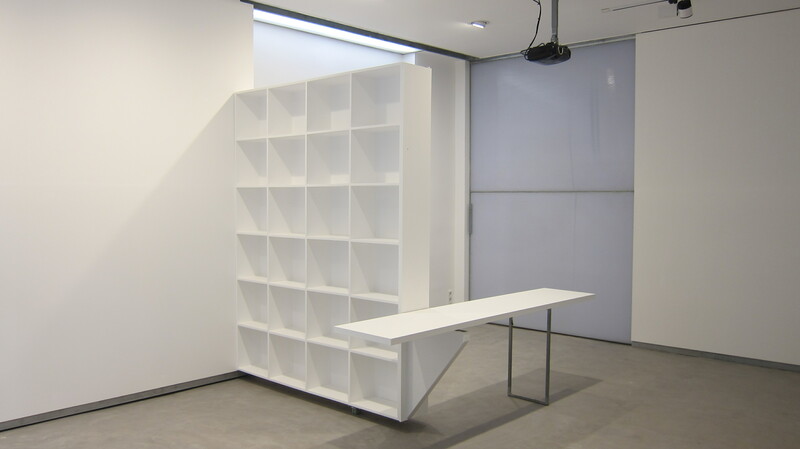 La Posta can become a white box or open your sides, accumulate, display or hide the works. 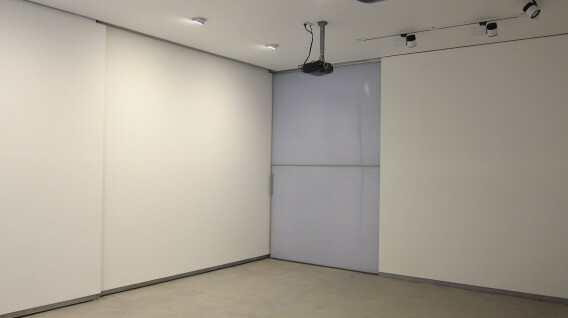 It is able to accommodate different configurations and each needs to preserve a space dedicated to contemporary art and responsive to the needs of each installation techniques may require. In short, the sliding surfaces, from door access to mobile exhibition walls and the dividing door polycarbonate allows overcoming the classic “white box” as an exhibition space. Being a small space, the location of the library is solved as an element able to hide and show, for the occasion. The key to the solution is the ability to move the bookcase that in three times, draw different positions, rotating from one end. When the walls are closed exhibition space is maximized. When you open one of the racks, sliding the bookshelves appears exploiting the space offered by pillars. In the third period, turning ninety degrees visible the library from the access and tends to fragment the space enhancing access ritual, visual and content. In this way with the cabinet fully deployed, the space is divided, empowering new exhibition areas, paths and creating a less visible from outer space.